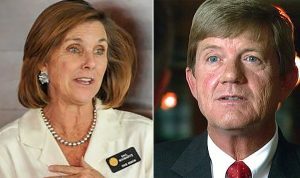 U.S. Rep. Scott Tipton on Sunday joined other Colorado Republicans in condemning the vulgar and sexist comments of GOP presidential candidate Donald Trump in a 2005 video exposed by the Washington Post on Friday, but the Cortez congressman stopped short of pulling his support for Trump. “I find Trump’s comments shocking and appalling. It’s unacceptable and he must directly and sincerely apologize to all women,” Tipton said in a prepared statement, according to Ernest Luning of the The Colorado Statesman. “That said, this is the reality: It is too late to replace anyone on the ballot and we have two flawed candidates for president. Republican U.S. Senate candidate Darryl Glenn, incumbent GOP U.S. Sen. Cory Gardner and Republican U.S. Rep. Mike Coffman over the weekend all called on Trump to pull out of the race for the good of the party. 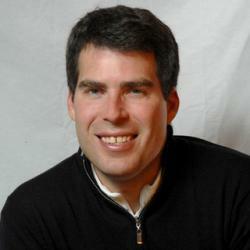 “Sexual harassment is a serious issue in this country,” Schwartz said in the release. “To have the Republican nominee for President engaged in such dehumanizing behavior toward women is reprehensible. I hope that all of us can come together to reject Trump’s candidacy outright. Decent, hardworking Coloradans deserve so much more from our elected representatives, and they deserve to know why Scott Tipton still supports Trump. One sign the race for the sprawling Western Slope and southern Front Range congressional district has tightened in recent weeks is the aggressive way both campaigns have attacked each other for what they deem misleading ads — in Schwartz’s case on public lands and in Tipton’s case on coal-mining jobs and renewable energy policies.